a box (out of print). 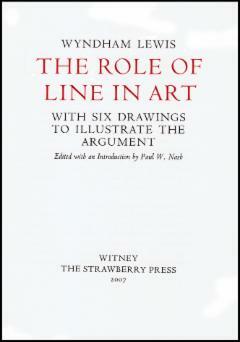 The role of line in art. This essay, in which Wyndham Lewis champions draughtsmanship as the first principle of art, was originally written for the Corvinus Press in the late 1930s. The book was never issued, however, as the sheets and plates were destroyed by bombing in May 1941. Only one copy of the original edition survived. With the kind permission of the heirs of the author, and of the original printer, the Strawberry Press has now reprinted the complete essay, and the illustrations Lewis chose for it, with an historical introduction by Paul W. Nash. The plates reproducing Lewis's drawings were printed by J. W. Northend of Sheffield for the Press. 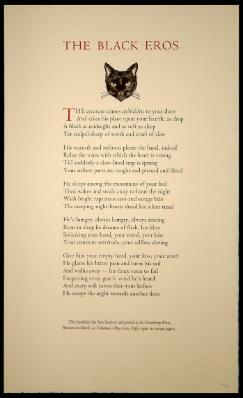 The sea-maiden: a short story by Paul W. Nash, with a wood- engraved frontispiece by the author. pages. Tall octavo (180 × 120 mm). 30 copies on Zerkall mould-made paper, bound in Maziarczyck pastepaper-covered boards, cover-label, £12.00.